As an act of commemoration at 7.30am this Friday morning, 1st July 2016, one half-muffled tenor bell will toll 100 times at St John the Baptist Church. At precisely that time 100 years ago, a whistle was blown, the men went over the top of the dug outs at the Somme and walked towards enemy lines, starting the bloodiest battle that the British Army ever fought. On that day alone, the 1st July 1916, 60,000 soldiers were killed, injured or declared missing. The centenary of the battle provides an opportunity to commemorate the service and sacrifice of those who gave their lives at the Somme and to reflect on the human cost of war. This entry was posted in Bell Ringers, General News, Parochial Church Council on June 28, 2016 by Janet Whittaker. Waterloo 200 was celebrated in North Luffenham with a peal of bells followed by a Village Picnic and a Concert given by Stamford Brass. 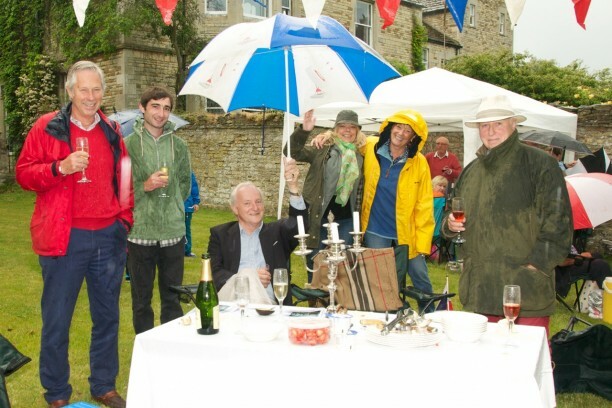 On Saturday 20th June the Church Bells rang out to commemorate the 200th anniversary of the Battle of Waterloo. 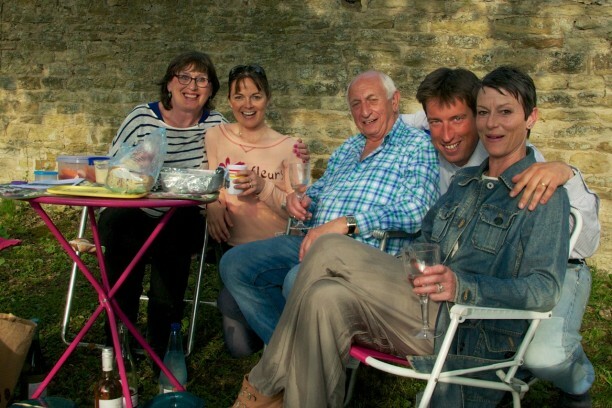 Later some 80 North Luffenham Residents and their Guests gathered on God’s Acre in front of the Church for a Picnic and a concert to be given by Stamford Brass to raise funds for the Church Roof Repairs. After some showers during the afternoon the clouds cleared and and beautiful evening sky promised a great night ahead. The first half of the concert was fabulous with the champagne flowing and everyone singing along to The White Cliffs of Dover and other well known tunes. During the interval however the clouds swept in and the raffle was accompanied by great claps of thunder. 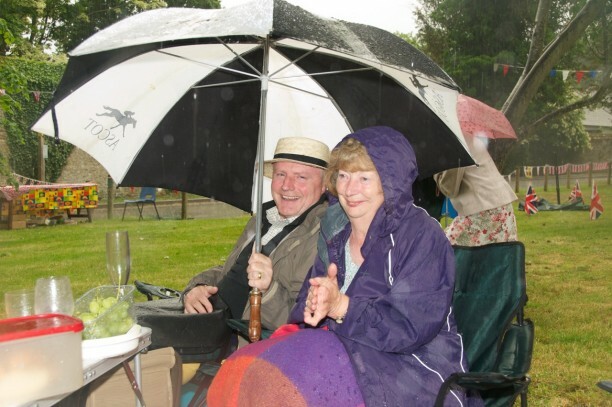 The Band broke into ‘Singing in the Rain’ and with Bulldog spirit everyone joined in by singing and dancing in the rain, but with that the Heavens opened and after a final rendition of the Radetsky March – stumps were drawn and the evening came to an abrupt end. In brief a very British night – thoroughly enjoyed by all. This entry was posted in Bell Ringers on June 22, 2015 by Pete Burrows. Our last practise of the year will be held next Tuesday 20th November, at 7.30 pm. I have left the muffles on. See you there, hopefully. 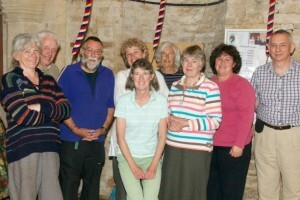 This entry was posted in Bell Ringers on November 16, 2012 by North Luffenham. Our next big service at St. John the Baptist is on the 11th November for the Remembrance Day service, for which I have to half muffle the bells. This also gives me the chance to have a close look at the bells and make sure that there is no obvious faults. Not the easiest of jobs to lie underneath them to strap muffles on the clappers, not the cleanest either. 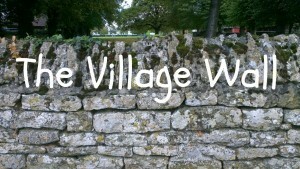 This entry was posted in Bell Ringers and tagged Church Bells, Remembrance on November 3, 2012 by North Luffenham.